The Toronto Life has a great piece on what many might construe as over-parenting. The Globe and Mail starts off what's bound to be decades of thought over just how broken Canada's Health Care system is and what needs to be done to fix it. Maclean's' Colby Cosh takes the Globe and Mail to task for their reporting on relief homeopathy work in Haiti. CanWest's Sharon Kirkey does a phenomenal job tackling a subject dear to my heart - it's about energy in, not energy out when it comes to weight loss. 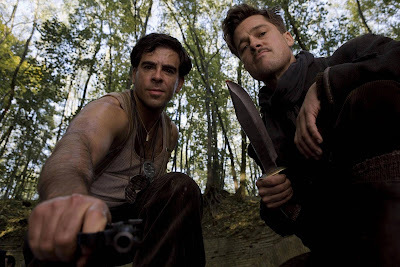 The Jewish Journal has an absolutely fascinating piece on Tarantino's Inglourious Basterds detailing responses from screenings in Germany, screenings to holocaust survivors, interview with Tarantino on the influence (or lack thereof) of Israel on the narrative, Simon Wiesenthal folks questioning whether the movie trivializes the holocaust etc.